Austria has something special to celebrate this festive period as it marks 200 years since the first performance of one of the world’s most beloved Christmas carols, Silent Night. 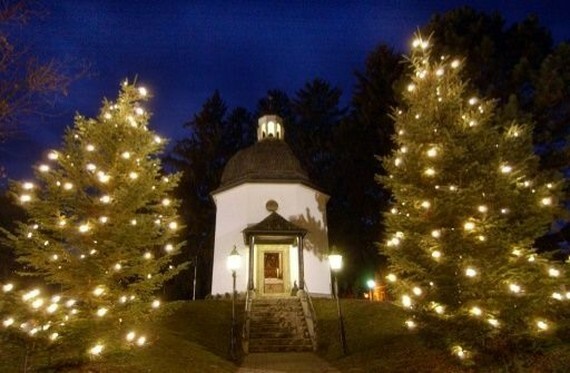 Celebrations of the anniversary will culminate with a special December 24 performance of Stille Nacht at the chapel in Oberndorf village, near Salzburg, where it was first performed 200 years ago to the day. "We are expecting around 6,000 people this Christmas Eve, where normally we would have 3-4,000," Clemens Konrad, the head of Oberndorf’s tourism office, said. The song’s origins gave little hint as to the global renown it would achieve, being translated into 300 languages and dialects. It was originally written as a poem by priest Joseph Mohr in 1816, a time of great suffering in the wake of Europe’s Napoleonic wars. Two years later, Mohr asked his friend, the organist, choirmaster and schoolteacher Franz Xaver Gruber, to compose a melody. The carol was first performed to a modest church congregation of ship labourers and their families. Years after its premiere, Gruber wrote that it had met with "general approval by all" among the congregation. The carol became known outside Austria when it was incorporated into the repertoire of two travelling singing groups. The Rainer Singers and the Strasser Siblings performed it around Europe and beyond – including the United States. Mohr and Gruber are today honoured in around a dozen sites locally, many of which have been hosting special events this Christmas season to mark the anniversary. Pope Francis has declared Silent Night to be his favourite song, even if he was unable to accept an invitation from Salzburg’s regional government to take part in the anniversary celebrations. Travel operators have included special stops on their itineraries to mark the anniversary, and visitors have come from as far afield as Sri Lanka and Japan, said Konrad. The first English versions of Silent Night can be traced back to the middle of the 19th century and in the decades that followed it could be heard on every continent, propagated notably by Christian missionaries. Since then, it has been recorded many hundreds of times by stars ranging from Bing Crosby to Miley Cyrus. Austria has something special to celebrate this festive period as it marks 200 years since the first performance of one of the world’s most beloved Christmas carols Silent Night.